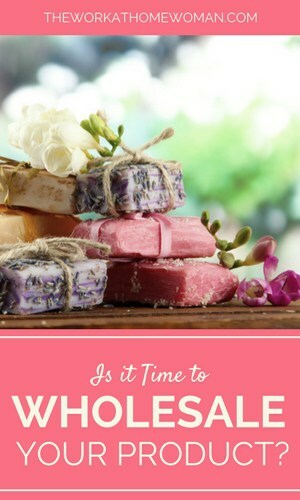 You are here: Home / Business / Is it Time to Wholesale Your Product? You have a great product, your online sales are steady, but now you are ready to start wholesaling your product. Where do you begin and how do you go about contacting potential retail stores? Before contacting any stores, you need to prepare all your wholesale documents and pricing structures. This is important so that the store has something to refer to during your initial meeting. See this sample wholesale document. Next, you need to make a list of stores that fit your target market. Once you have narrowed down your first stores, you want to contact each store’s buyer and provide your information including your website and wholesale price structure. Follow up with a phone call to confirm they received your information. If not, resend it with a personal note to the person you spoke to on the phone. If the store is close by, try to set up an appointment to show them your product. If you are having a hard time getting stores to purchase your product, approach one close to home and offer a consignment deal. This can be a win-win situation: The store doesn’t have to make a cash outlay to carry your product, and you get the opportunity to establish your brand in a retail store; the store gets to test the saleability of your product, and you get feedback from customers. If things go well, you might be able to establish a permanent relationship with the store, perhaps even to convert it to a straight wholesale arrangement. Interview with the retail store buyer. I interviewed one of the managers of my first store, Wendy Hajj of Janie Christine’s Boutique in San Antonio, Texas. My relationship with this store, its staff, and its customers have been the key to my success. They’ve taught me how to successfully work with a retail store and provided me with essential feedback from their customers. My relationship with this store began as consignment, and since it works so well for both of us, we have continued doing business on consignment. The store is two miles from my house. They stock all of my sizes and styles, and they pay me a slightly higher percentage than wholesale. If you also find the perfect store, don’t take no for an answer—offer them a consignment relationship, you won’t be sorry. SE: When looking for new products, where do you begin your search? WH: We look online at market websites, and we pay close attention to our customer's recommendations as well. We have a lot of representatives from the companies we currently purchase from who stop by to show the latest in gift, fashion, and other seasonal items. SE: What’s the best way for a new company to contact you about getting its product in your store? WH: I prefer they call or email first. A website or an email of the product pictures, information, pricing is huge for consideration. SE: Do you expect a new company to send a sample before you put in an initial order? WH: If they can send samples, it helps a lot. We are just like our customers—to touch and see a product makes it more enticing to buy! SE: When you are approached by a new company, what kind of information do you expect (e.g., website, references, sales statistics, etc.)? WH: The biggest thing is how well the branding is done. Having labeling and suggesting pricing for retail is first and foremost. It makes it easier for the retailer to inventory the product and get it selling. Experience, websites, references and all those other things help but don't necessarily make or break a deal for us. SE: Is there any approach from a new company/salesperson that would decrease your chances of carrying their item? WH: Showing up without an appointment usually is a good deterrent. Call beforehand and set up an appointment so that you may have ample time to show off your goods without distraction. Don't spam your product via email or by phone. A good rule I learned long ago in sales was “Two Nos And You Go”. So if they say no once and twice, move on to the next lead. Sheena Edwards is owner and designer of Lizzie Lou Shoes. Edwards was a stay-at-home until May of 2009 when her vision of the perfect flip flop hit the market. Like many of her customers, she is a mother juggling all the duties of working from home and caring for her three small children. Edwards has a communications degree from Trinity University and has experience in marketing, public relations, and project management. However, her practical experience as a mother has been key in the success of her product. To learn more about Lizzie Lou Shoes, visit LizzieLouShoes.com. Great info Sheena, I love it when moms who have ‘been there’ share their experience with the rest of us. Thanks! Insightful & informative post Sheena. Great tips for product-based businesses expanding into wholesale. Thank you for sharing.